A celebration encompassing the history of the automobile and the 125 year anniversary of the Mercedes-Benz 1886 Patent Motorwagen is creating a blissful paradise for car aficionados heading to the Monterey Peninsula for the annual Pebble Beach Automotive Week and Concours d’Elegance August 16-21, 2011. At the heart of a four day auto extravaganza is a significant number of world-class Mercedes-Benz collector cars that represent the marque’s famed history throughout the world. 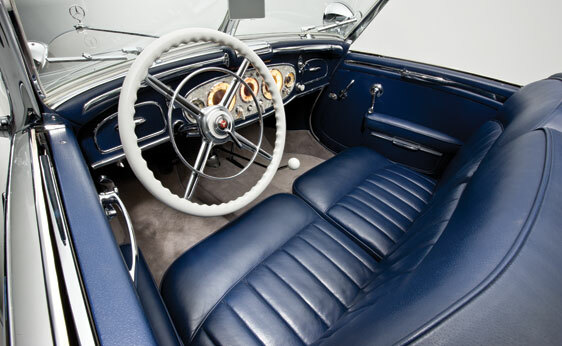 On Sunday, August 21, The Pebble Beach Concours d’Elegance is featuring five special classes across the famed 18 fairway to mark Mercedes-Benz 125 year anniversary including one class with nine pre-war Grand Prix vehicles known as “white knights.” The classes also include Mercedes-Benz 380K-770K, 300 SL Gullwings and Roadsters, and a preservation and 125 year celebration group covering Benz, Daimler, Mercedes and Mercedes-Benz. Over fifty cars including some of the rarest examples representing the Mercedes-Benz brand are traveling to Monterey, some over great lengths including parts of Europe and South America. The Mercedes-Benz Star Lounge on the 3rd Fairway leading to the Lodge at Pebble Beach is also themed around the anniversary milestone. It is featuring not only classic and rare vehicles including the American Mercedes of 1905, which was built in conjunction with the William Steinway Co. in Long Island City, NY., but also the future of Mercedes-Benz innovation with displays of the 2012 SLS AMG Roadster and the Concept A-Class. Several high profile auctions are also taking place with multiple rare Mercedes-Benz vehicles on the blocks. 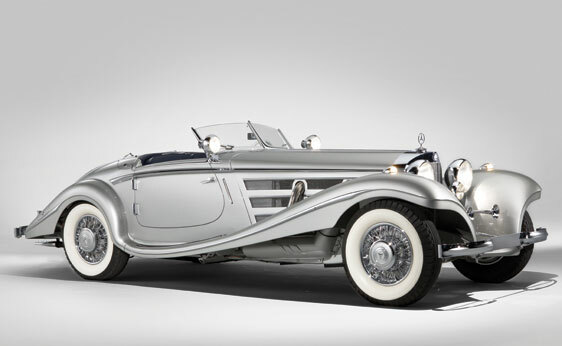 Headlining RM Auctions’ Monterey sale, August 20, is an exquisite 1937 Mercedes-Benz 540 K Spezial Roadster (pictured), chassis 154140, from the private collection of Sam and Emily Mann. One of just a select few built with the most desirable configuration of high door, long tail and covered rear spare, of which it is believed just three examples survive, 154140 is expected to establish a new world record for a Mercedes-Benz sold at auction when it crosses the podium on Saturday evening. The stunning 540 K will be surrounded by an impressive series of four other supercharged eight-cylinder cars from the 1930s – each recently inspected by an expert from Mercedes-Benz Classic in Germany – as RM Auctions celebrates the marque’s 125th anniversary with one of the most important collections of Mercedes-Benz automobiles ever offered at public auction. The Gooding Auction on August 21 features a 1959 190 SL Roadster owned by singer-songwriter Sheryl Crow that is going on auction with proceeds of the sale to benefit the Joplin Schools Recovery Fund.